Figure 31 The phosphorus submodel (UNEP-IETC). 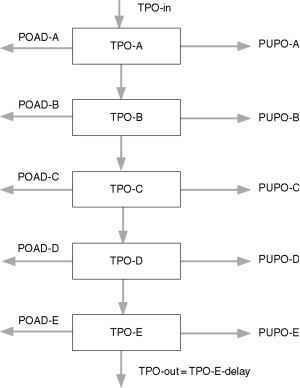 TPO, total phosphorus; PUPO, plant uptake of phosphorus; POAD, adsorption of phosphorus to the gravel. Figure 32 Vertical upflow CW in Brazil. 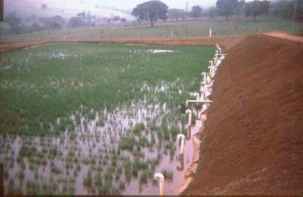 Wastewater is fed with horizontal pipes to the bottom of the bed and then collected at the top of the bed. Photo by J. Vymazal. Figure 33 Willow-based zero discharge CW for a farm house. Vravej near Aarhus, Denmark. Photo by J. Vymazal. 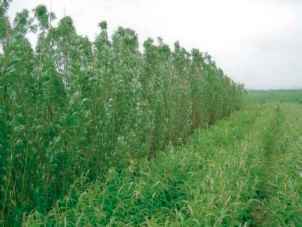 Figure 34 One-third of willows (on the right) is harvested every year to keep the willows in a young and healthy state with high transpiration rates. Vravej near Aarhus, Denmark. Photo by J. Vymazal. ammonia in the first VF stage while in the second HF stage further removal of organics and suspended solids and denitrification takes place. In the early 1980s, several hybrid systems of Seidel's type were built in France with a system at Saint Bohaire, which was put in operation in 1982, being the best described. It consisted of four and two parallel VF beds in the first and second stages, respectively; the third, fourth, and fifth levels consisted of one HF bed in each level. A similar system was built in 1987 in UK at Oaklands Park. 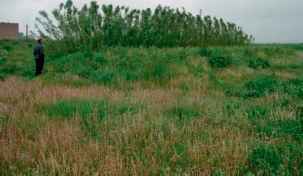 The first stage consisted of six vertical beds (8 m2 each) intermittently fed and planted with P. australis. 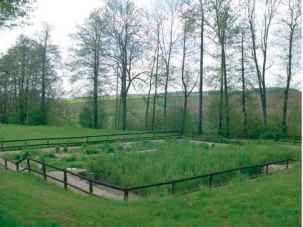 The second stage consisted of three vertical beds (5 m2 each) planted with P. australis, Schoenoplectus lacustris (bulrush), and Iris pseudacorus (yellow flag). 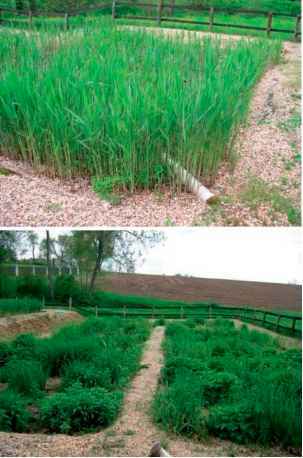 The third stage was a HF bed (8 m2) planted with yellow flag and the fourth stage was 20 m2 bed planted with bulrush, Sparganium erectum (bur reed), and Acorus calamus (sweet flag). Figure 35 Layout of the hybrid VF-HF CW. Figure 36 VF-HF CW at Vanov, Czech Republic - general view. Photo by J. Vymazal. Figure 37 VF-HF CW at Vanov, Czech Republic. Top: Detail of VF bed with distribution pipe. Bottom: HF bed planted with a mixture of decorative plants (Glyceria maxima, Filipendula ulmaria, Epilobium hirsutum, Lythrum salicaria). Photo by J. Vymazal. of the VF-HF system based on original Seidel's concept is presented. The Colecott system near Dublin consists of four VF beds (total of 64 m ) at the first stage, two VF beds (60 m ) at the second stage, and one HF bed (60 m ) at the third stage. The system is designed for 60 PE. VF-HF systems exhibit a high removal of organics (COD, BOD5) and suspended solids. As compared to single HF systems, there is much higher removal of total nitrogen as a result of high nitrification in the VF section. Nitrate produced in the VF section is successfully reduced in the HF section. However, removal of phos phorus usually remains low unless filtration media with high sorption capacity are used.